Charles Gwathmey and Robert Siegel were among the few major architectural figures who continued to design residential interiors even as their practice brought them numerous commissions for large, freestanding buildings. 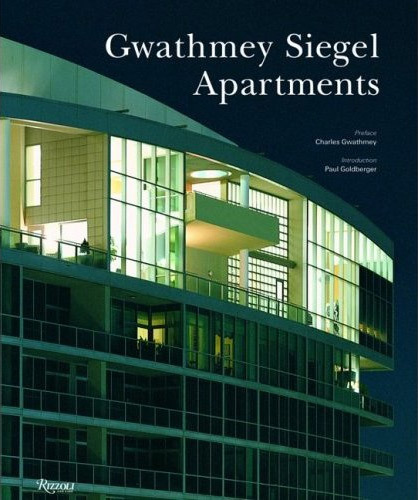 “It is unusual for architects of great talent to do some of their best work inside other people’s buildings,” Paul Goldberger states in his essay, which stands as the main text within this comprehensive book. “But Charles Gwathmey is an exception, and not because he is too reserved or too well-mannered to want to make the kind of mark that a determined, ego-driven architect feels compelled to make. He can rev up his ego to the level of the best of them. But Gwathmey’s greatest gifts are for the manipulation of space in what we might call a high-resolution, fine-grained way—with intricacy and exactitude—and for the crafting of details and the expression of materials.” The book contains images of work Gwathmey has done for Faye Dunaway, David Geffen, Steven Spielberg, among numerous other prominent clients.